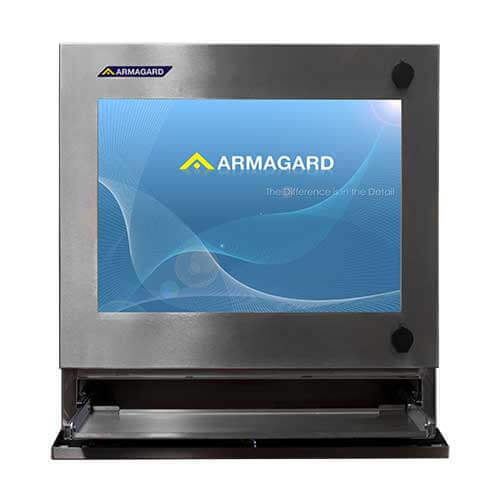 Waterproof Industrial computer workstation | Stainless steel pc enclosure | Armagard Ltd. 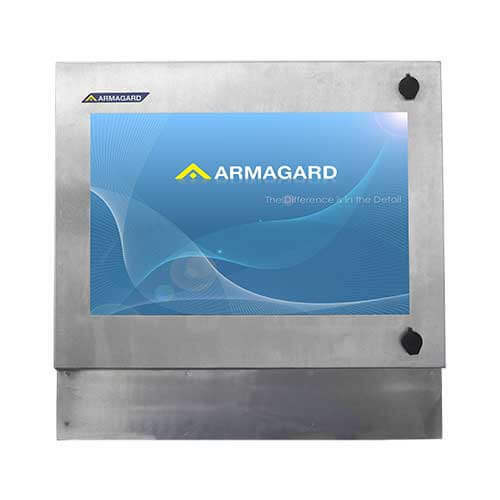 The waterproof industrial computer workstation allows you to benefit from the functionality of a PC and 24" monitor in wet, hygienic and washdown environments. 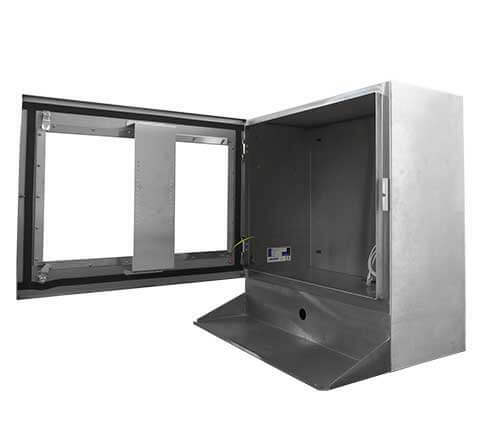 The enclosure is manufactured from 316 food grade stainless steel, which is inherently anti-bacterial and corrosion resistant. 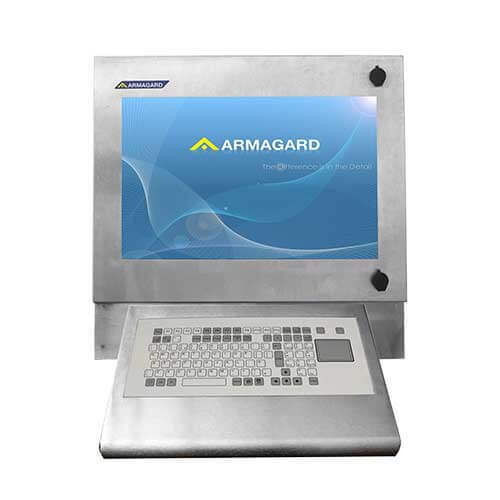 The workstation can be jet washed and is ideal for clean industries. The SENC-500 is IP65 rated and protects a PC from liquids, airborne particulates and physical impact. 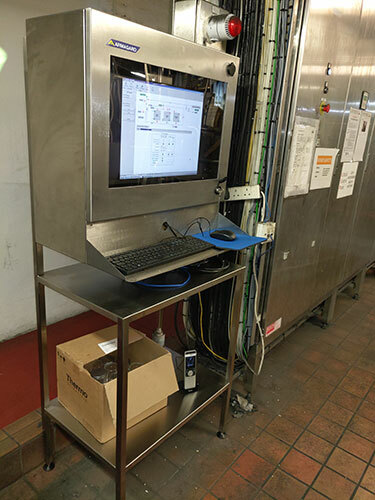 The workstation allows a PC to run uninterrupted in hazardous conditions, which increases system uptime, shop floor efficiency and offers greater system protection as a whole. Washdown Areas, and Clean Rooms. 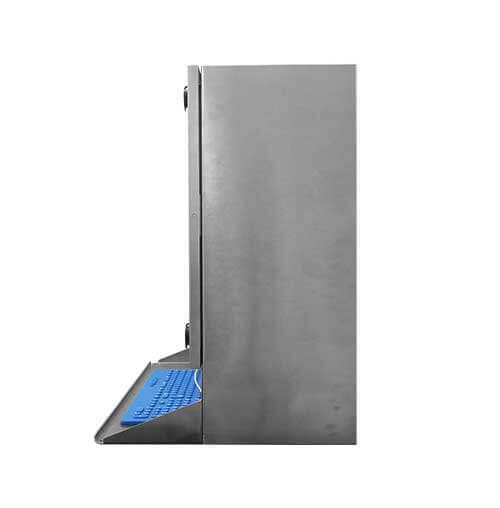 Optional, keyboard shelf, sliding keyboard draw, or integrated IP65 membrane keyboard (with touchpad). Alongside optional, waterproof keyboard, and mouse. The waterproof workstation accommodates PCs and VESA compatible 24” monitors from most manufacturers. This allows you to use the most optimised PC for your needs. The computer workstation can protect several generations of PC over many years, so offers an excellent return on investment. 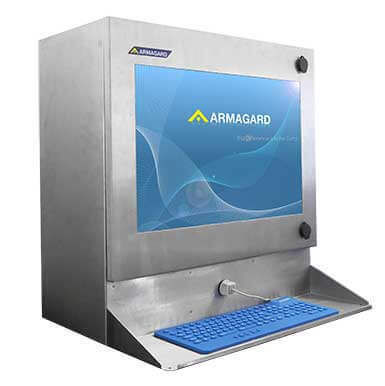 The waterproof industrial computer workstation can be fitted with a keyboard shelf, a sliding keyboard draw or an integrated membrane IP65 keyboard (optional extras) . You benefit from having a fully functional PC on the shop floor, while being assured that it is fully protected. 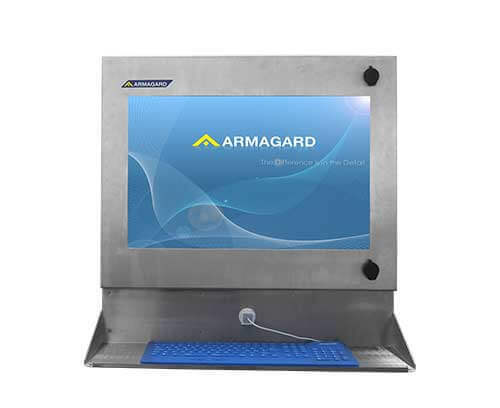 Manufactured from 316 stainless steel The waterproof industrial computer workstation is anti-bacterial and corrosion resistant, making it safe for heavy washdown cleaning in wet, humid and clean environments. Shatterproof polycarbonate window The polycarbonate window is 10 times stronger than ordinary glass. In the unlikely event of a breakage, the shatterproof window will not contaminate your production line with debris. Waterproof to IP65 The IP65 rating provides complete protection for a PC and screen, from, dust, liquids, and impacts. Reducing maintenance, downtime, and cost. Fits computers and TFT/LCD monitors with VESA mounts (up to 24") Purchase the best computer system for your needs or use a computer and screen you already own to save money. Water repellent seals Seals on the door, locks and window allow you to wash the workstation with no risk to the enclosed PC. Surge protected four way mains distribution The computer system is protected from electrical spikes, which ensures its longevity. Internal fan(s) Internal fans and vents maintain a stable temperature, which extends the computer’s lifespan. 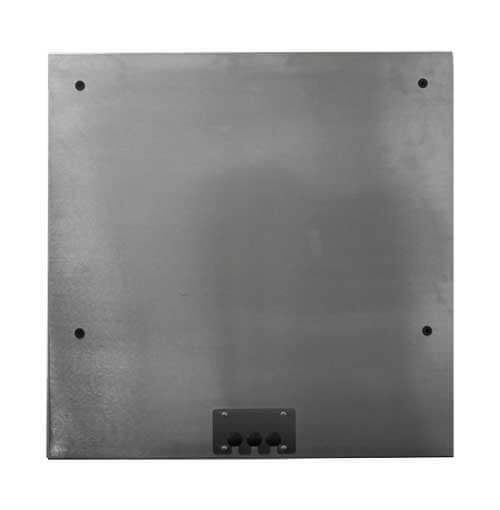 Mounting options You can mount the enclosure on a wall or stand in the most productive position for your employees. Customisable Choose the best keyboard and mouse option for your needs: a fixed shelf, sliding tray or integrated IP56 membrane keyboard and mouse touchpad. 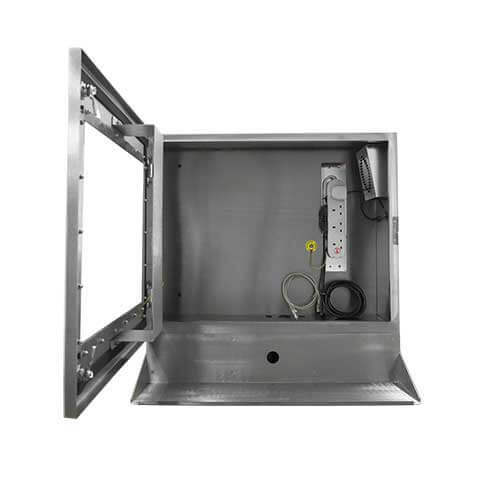 Stainless steel quarter turn locks Lock options enable the waterproof industrial computer workstation to protect the PC from tampering and theft.